Horizon Yachts reports heightened activity for the end of this year, with no less than four major launches, including three over 30 metres, since September. This time, Horizon announces the delivery of another hull coming from the successful RP97 series. Called Euphoria, this raised pilot-house motor yacht is slightly lengthened to reach an LOA of 30.63m. Her interior, designed by the in-house team, accommodates 8 guests on the lower deck in a full-beam master, a VIP and two twin cabins. Powered by twin 1,600hp Caterpillar C-32A engines, the yacht reaches a top speed exceeding 20 knots. 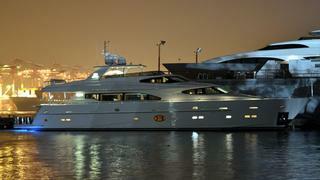 Euphoria is the second Horizon superyacht delivered to an Australian owner in November, following Mineral Water.